The manga is about a girl who truly likes Ramen. 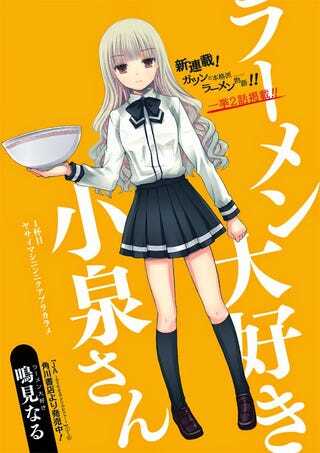 It has been announced that an Anime adaptation of the Manga Ms.Koizumi loves Ramen has been Green-lit. Studio Gokumi is animating the manga.